Grand Total of £655.17 which will cover half of the June vet bill, so absolutely wonderful a huge thank you to everyone that supported us. So glad things went well hun dispite the rain. It's been very sunny down ere all day so i hoped it would have been the same up dare. Bloomin UK weather hey! Can I point out that I'm not wearing incontinence kecks in them pics, they're my bike waterproofs. That aside, I had a grand time at the Inn as I always do. Never fails to amaze me how much care the little ones get, doesn't matter if the Inn is full or not, they still get all the care and attention they deserve. Always leave with a glow I do. Almost left with a Lollipuss too, but couldn't find a helmet for her to come on the bike. Glad the day went well Teresa, well done on the funds raised. I`m not quite sure how to describe today; I know that yesterday I sat on Busters Bench and told Claire that if I had one wish in life it would be **********I cant say anything yet but it looks as if that wish is about to come true; Claire has worked like a trojan organising and getting everything ready, the one thing I needed to arrange was the weather, it didnt rain, the heavens simply opened and bucket loads fell from the sky until everyone and everything was soaked, cats were all lovely and dry and I think enjoyed the spectacle of watching humans trying to bail roof of gazebo before giving up and fleeing into an already standing room only house. I think its fair to say we had the most glorius sunshine about 5 minutes before we closed. Thank you for an excellent afternoon, shame about the rain but then again this is England. We both really enjoyed out visit....we are so impressed by the quality environment that you provide for the cats in your care. I do hope that you will find a loving home for Rosie...she clearly deserves it and that Cookie pulls through. Will you keep us informed of any other fundraising events in the future please....we do want to continue to support you in your wonderful work. Gosh all that rain and these people want more think that says it all. Took these pics of certain forum member who was very comfy in the new kitten Pen, think he has an adoring kitten fan. Thanks to Claires hard work we raised 380.17 today and £35 in paypal donations, so all in all a big help towards this months vet bill. A big thank you to T, Claire and Rob, as usual we had a lovely day! The new pen looks fab as do the wonderful munch bunch! We should also be honoured with a visit from a very special Cheshire cat called Tricky, he is 6 foot tall and tells me he wears nothing but his fur Christine and Tan will know who this is. TRICKY! Oh how wonderful! Will you take some pictures of him? Decided to thrown caution to the wind today and we will be selling ice cream for people to sit and eat outside in the scorching sun At least I think positive. Buying me tickets now for us family 2 adults and two kids and we will be all out in the rain in our garden wishing we were with you all. Just looking at the weather and starting to think we should have organised a glamorous wellie and sowester competition. I just wanted to let Purrs members know that this event is definitely still taking place and everyone is most welcome. Muffins and macaroons sound brilliant - thanks Ruth! Tee hee, I my persuade the OH to take me again-was so nice to meet Claire, Teresa and Ems at christmas! Am bringing muffins and macaroons Claire to sell, that ok? Just a reminder about this event that guarantees to be a great day out (honest!). We have plans for a great cake stall this year and a number of competitions to keep people entertained - including a challenging quiz for the older visitors and a competition involving balloons, pipe cleaners and felt tips for the younger visitors (or the adults! ).....you need to come along to find out more. 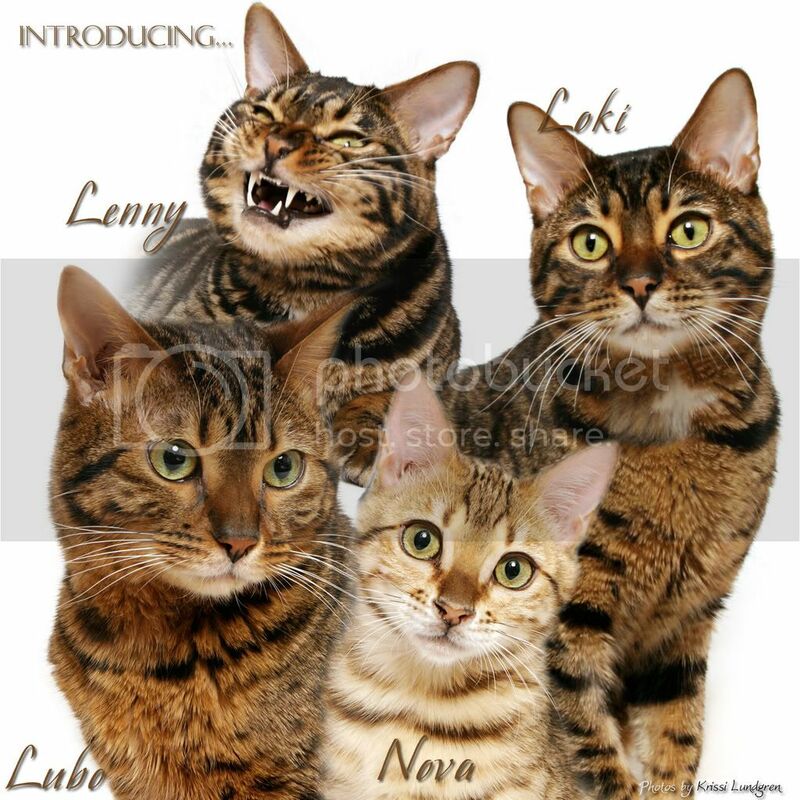 Lots of great cat items on sale from toys to bedding, and also items for the humans too. Minimopsical and all the other residents at the Inn would love to see you there. I guarantee attendance with goodies for sale to boot! 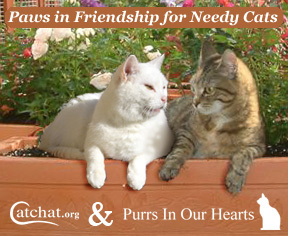 Please feel free to use: www.pawsinncats.com/donate.htm if you wish to donate via paypal. Please can you title your purchase as the Garden Party, that way T can keep track of the event fundraising. Gosh, been an age since I've plugged the site. Where in this land is weaverham? I'm working that day so please accept both mine and the boys' apologies, we'd still like to buy our tickets though please - one adult and two children Is it OK to use paypal? Hope to be there too, though am going up weekend after next so will aim to do both. We are opening our doors to supporters on Sunday 29th June between 11am and 3pm to share in a day of fun to raise much needed funds for the rescue. 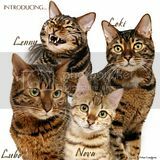 Visitors will have a chance to meet some of the current residents and learn more about the rescue work that we do and how the money raised will go to help many more cats in need. A delicious Paws Inn afternoon tea is included in the admission charge. If you would like to visit then please email pawsinn@aol.com for contact details and directions. Admission is £5 for adults and £2.50 for children (includes afternoon tea). We look forward to seeing you on 29th! !